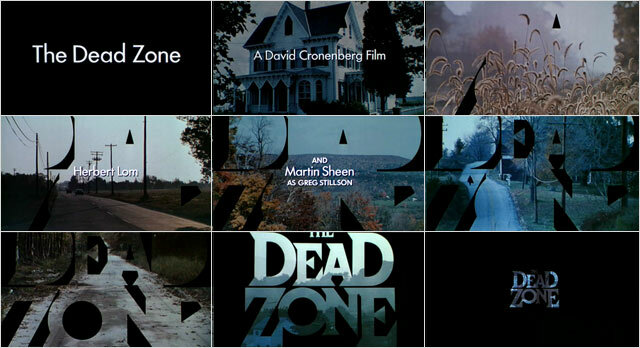 Wayne Fitzgerald's main title doesn't reveal itself till the very end of the suspenseful, slow-paced opening sequence. Although his work has been seen by millions of movie-goers and inspired many other graphic and motion designers, Wayne Fitzgerald is not a name that immediately rings a bell. Not even with title designers in the know. Fitzgerald, however, designed an endless number of main titles for film and television (IMDB lists over 400), and worked with legendary directors such as Francis Ford Coppola, John Hughes, Martin Scorcese and Orson Wells. Lots of classic movies in that list too: Bonnie and Clyde, The Graduate, The Breakfast Club, The Godfather II and III and Who's Afraid of Virginia Woolf?, to name but a few. And what about his work for TV: Battlestar Galactica, Columbo and Dallas. Fitzgerald doesn't do animation though, or, as animator Bob Kurtz put it: “He doesn't do 'fun',” so, at times, he collaborated with other designers and animators. With Kurtz, he made Four Rooms, Max Dugan Returns, Straight Talk, City Slickers and City Slickers II – all on this site.